The westerly province of Chōshū (Nagato) [Japanese text] was the home of eight or more important families engaged in making sword-furniture, of whom the parent was the Nakai [Japanese text] group, originally established in the neighbouring province of Suō. 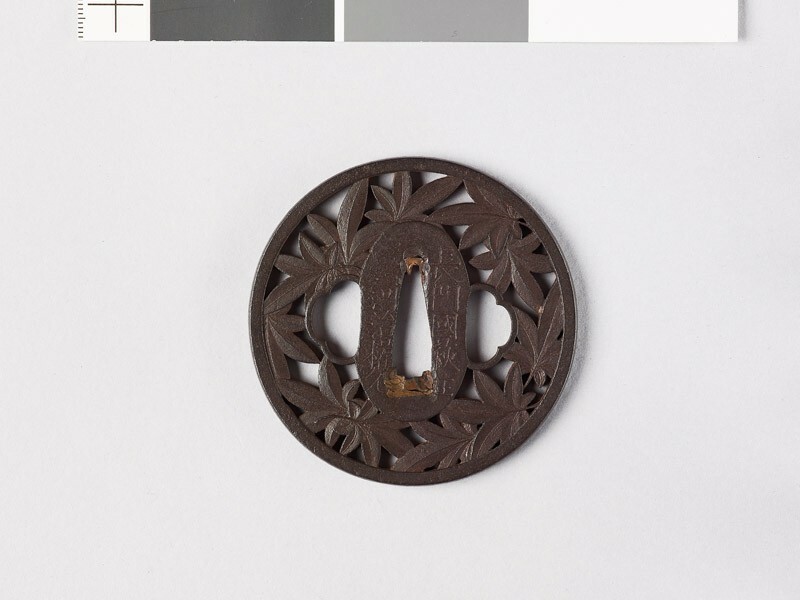 The indication “of Hagi” (Hagi no jū [Japanese text]), so frequently added to the signatures on Chōshū work, may not perhaps in all cases imply the artist’s actual residence at the Nagato capital. 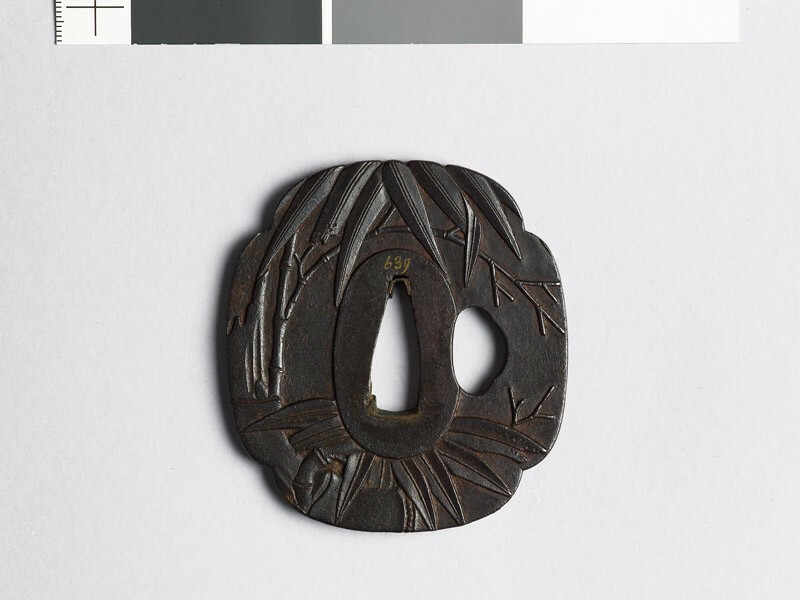 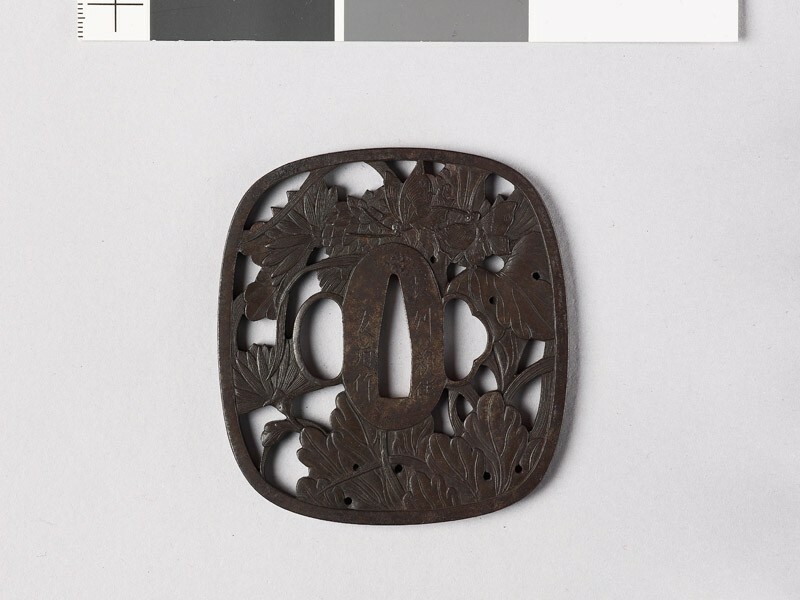 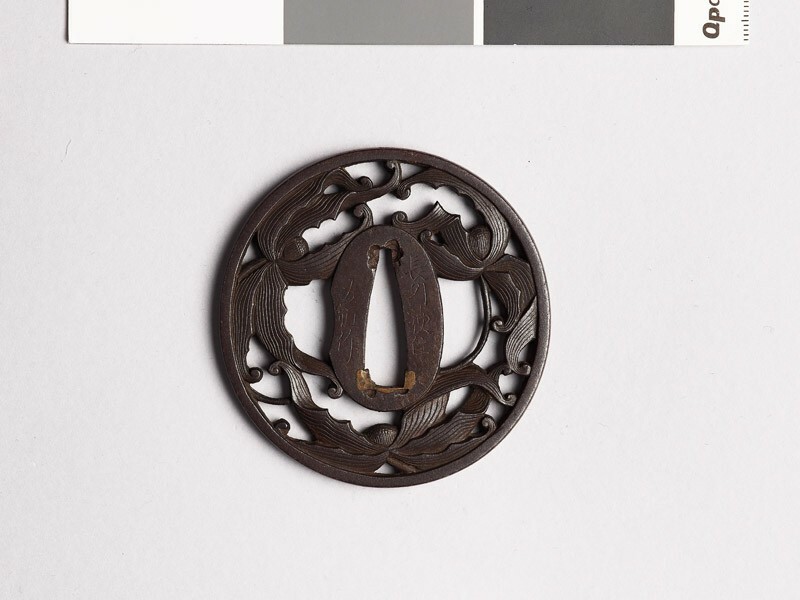 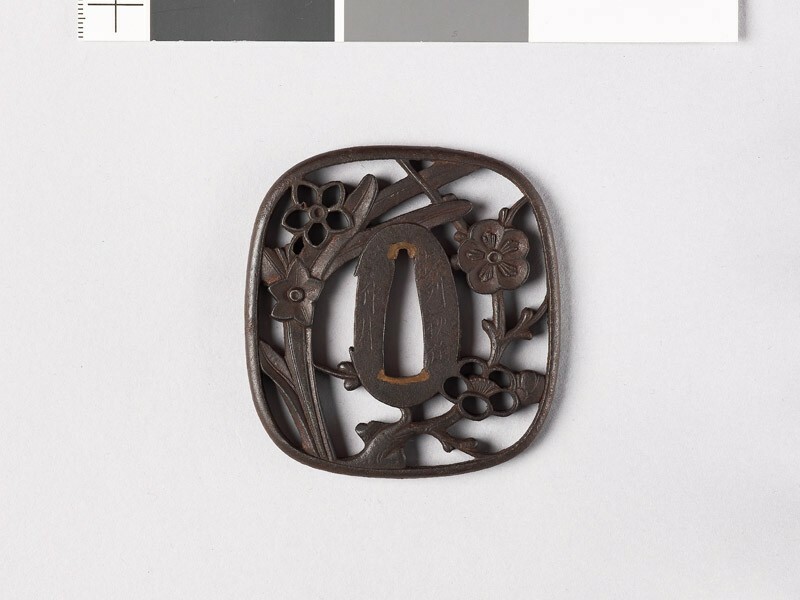 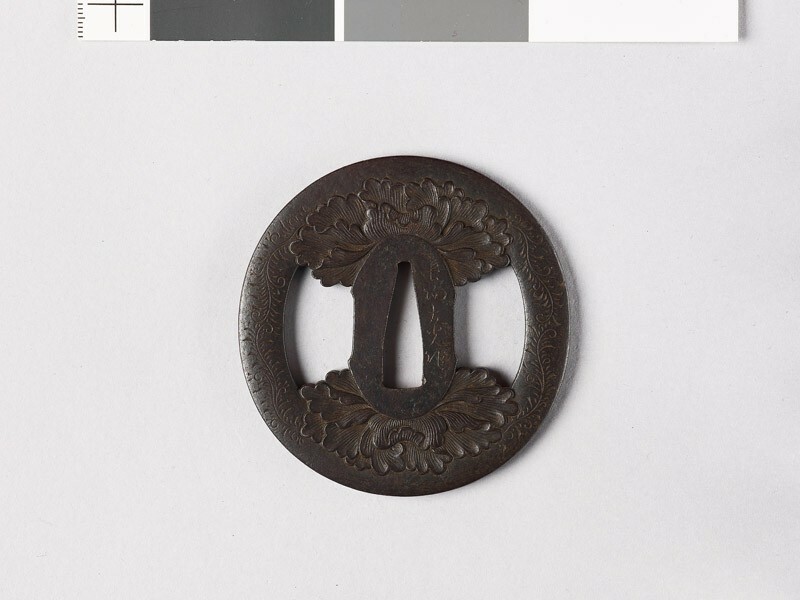 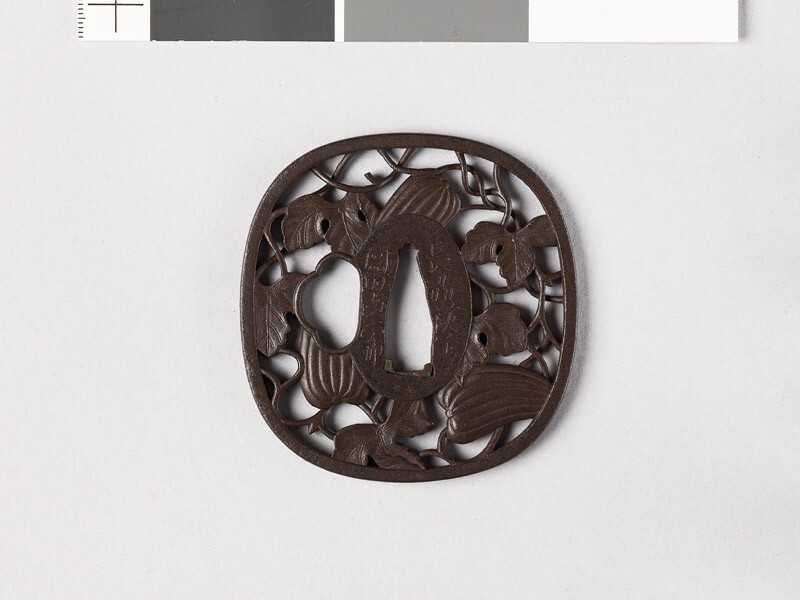 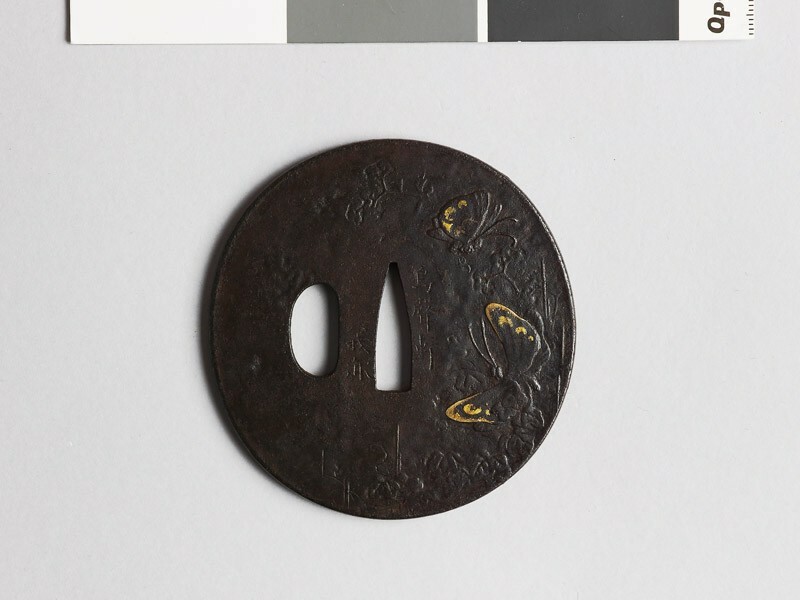 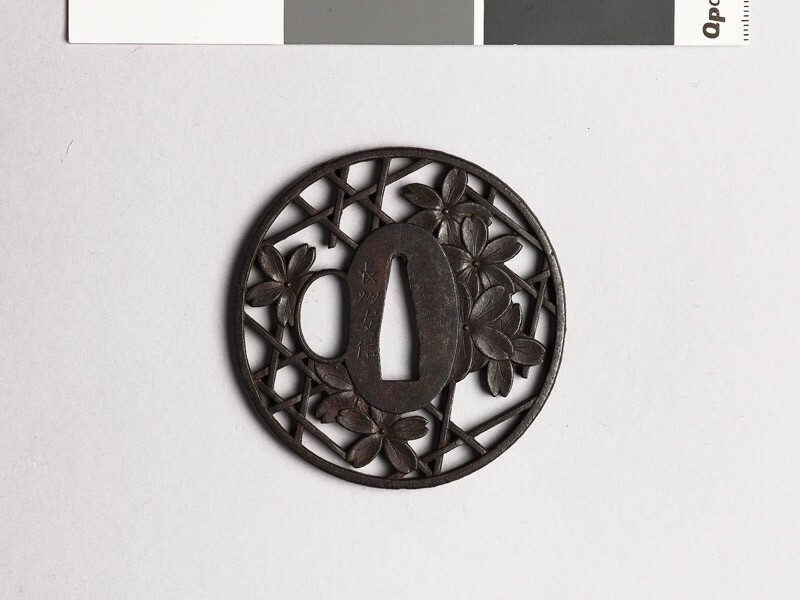 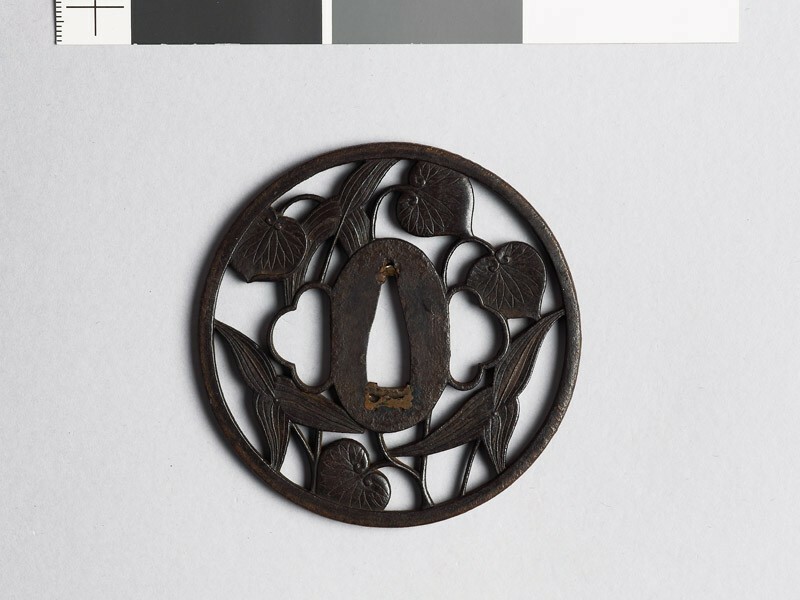 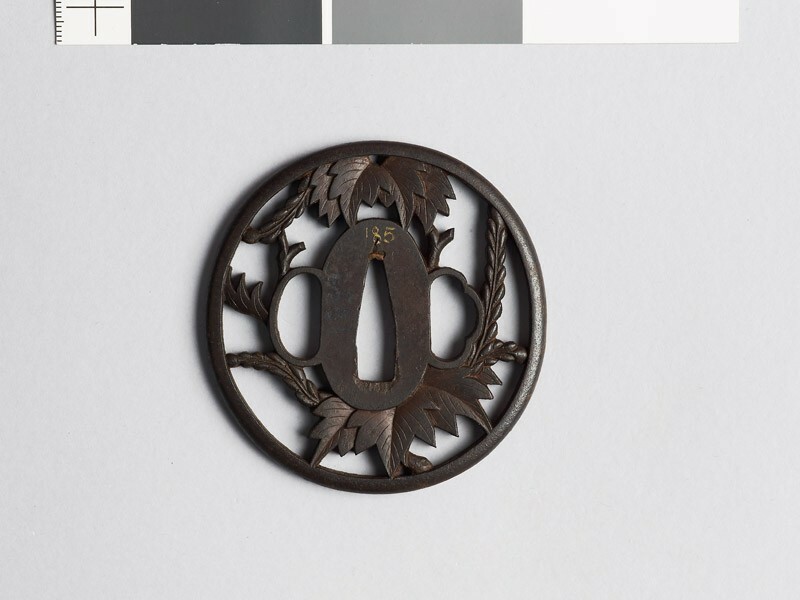 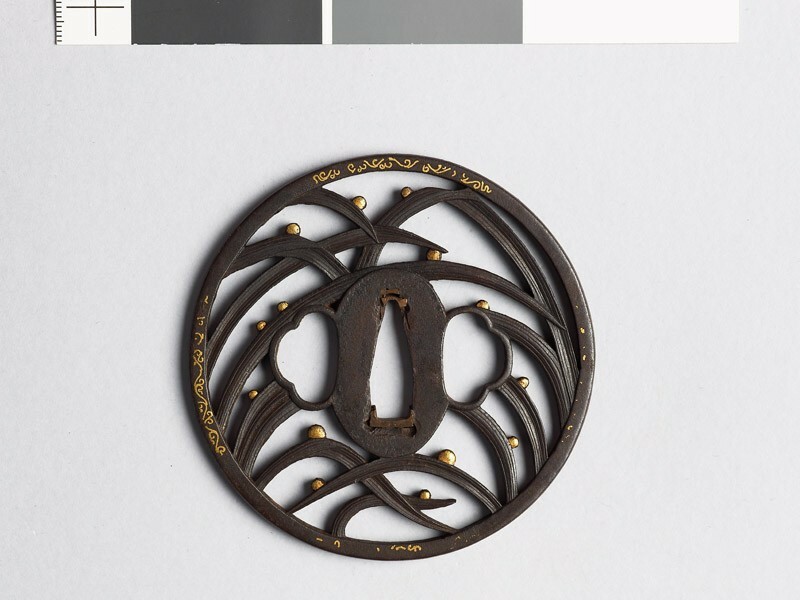 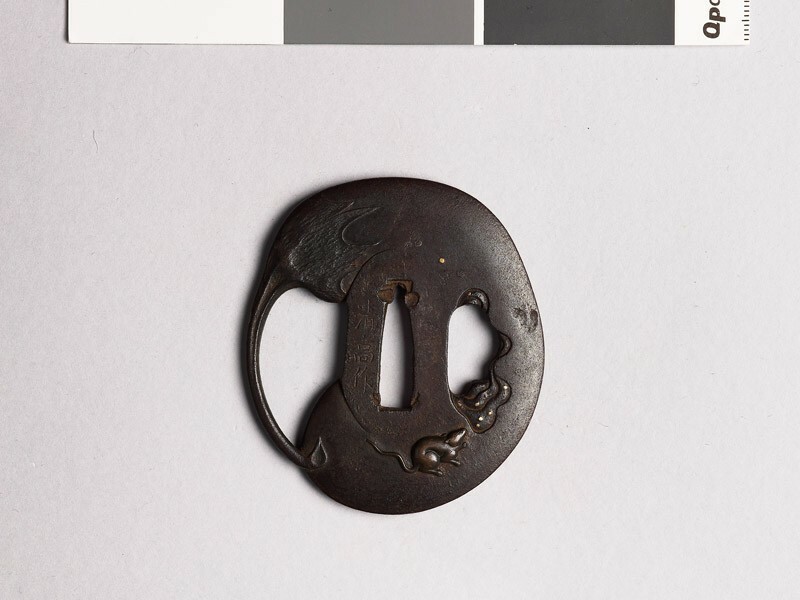 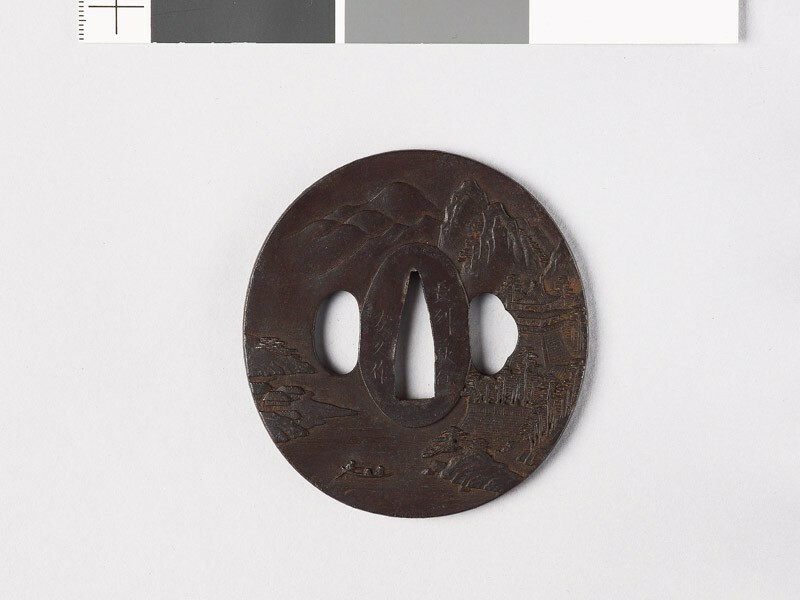 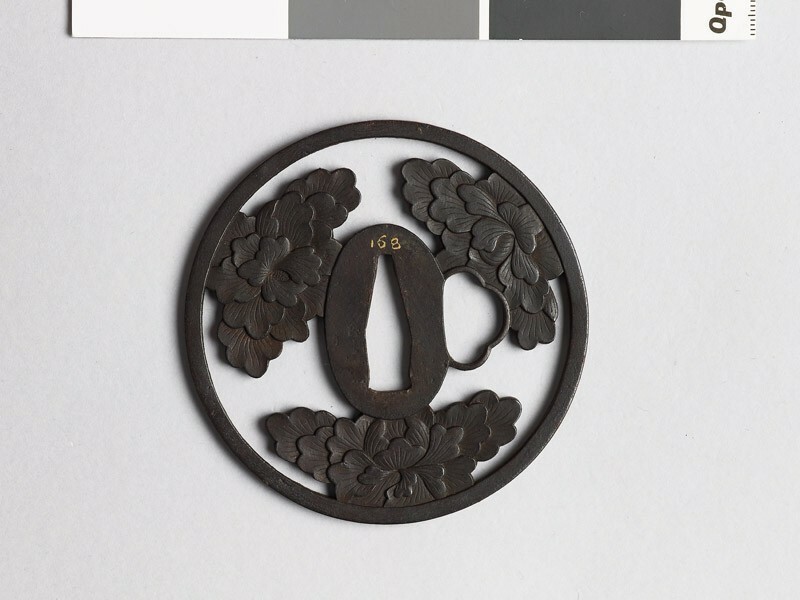 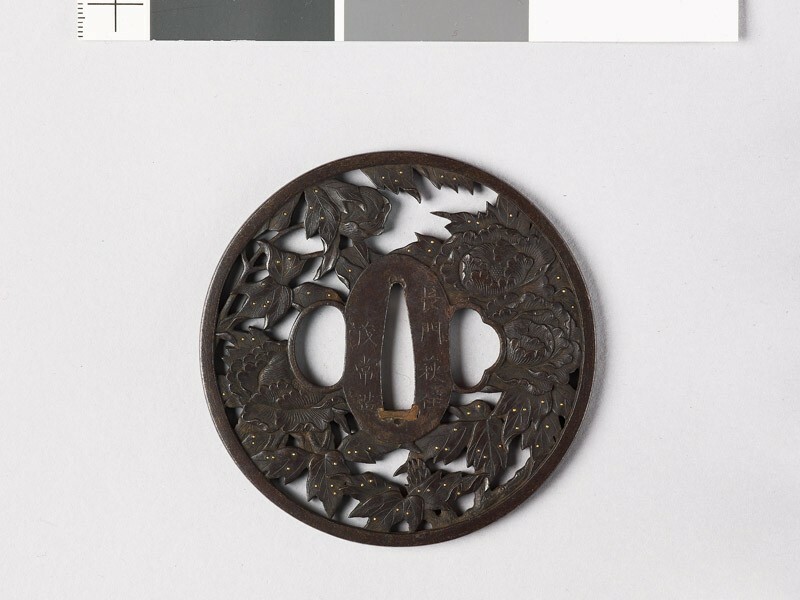 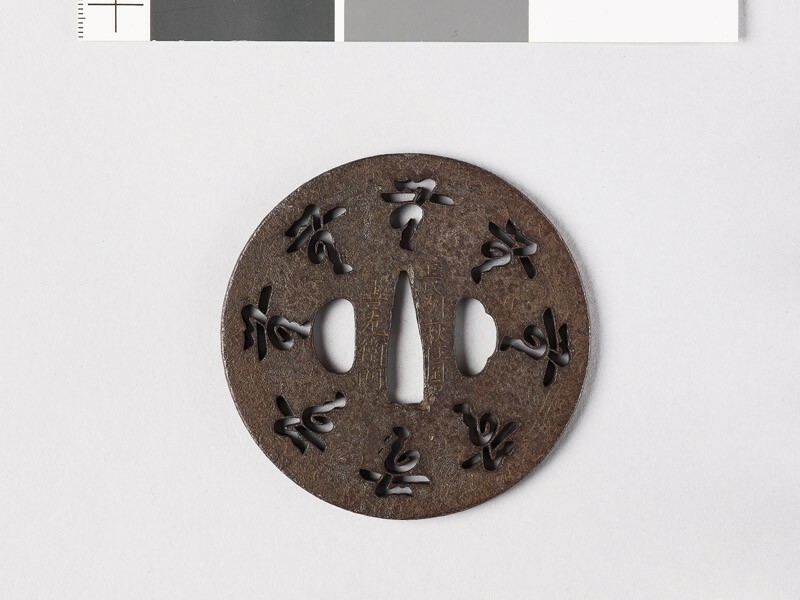 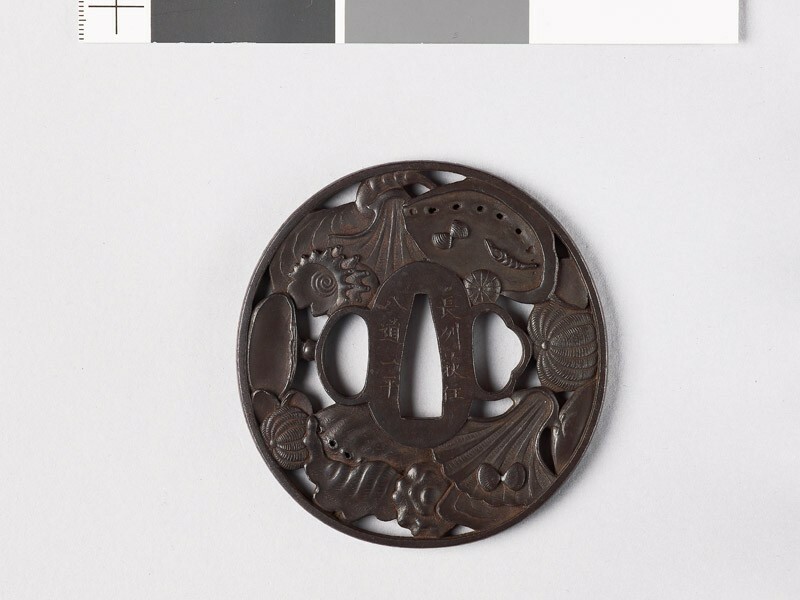 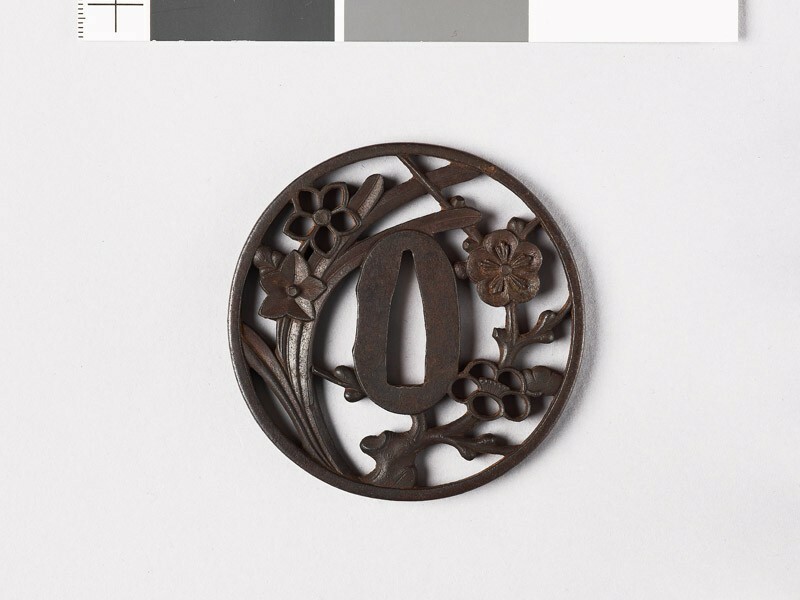 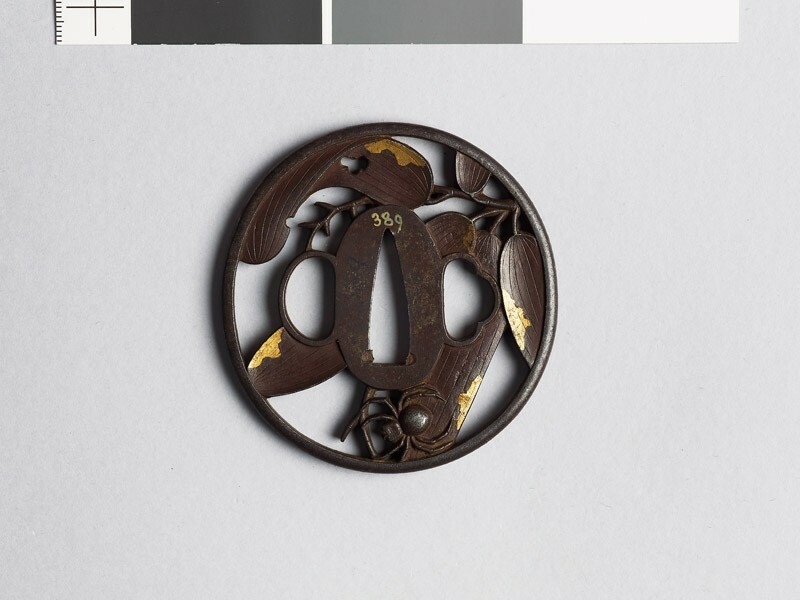 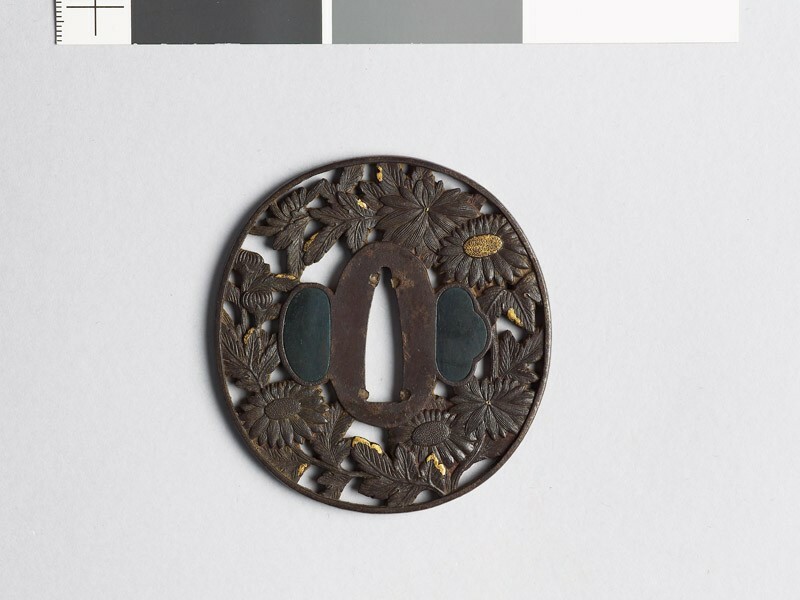 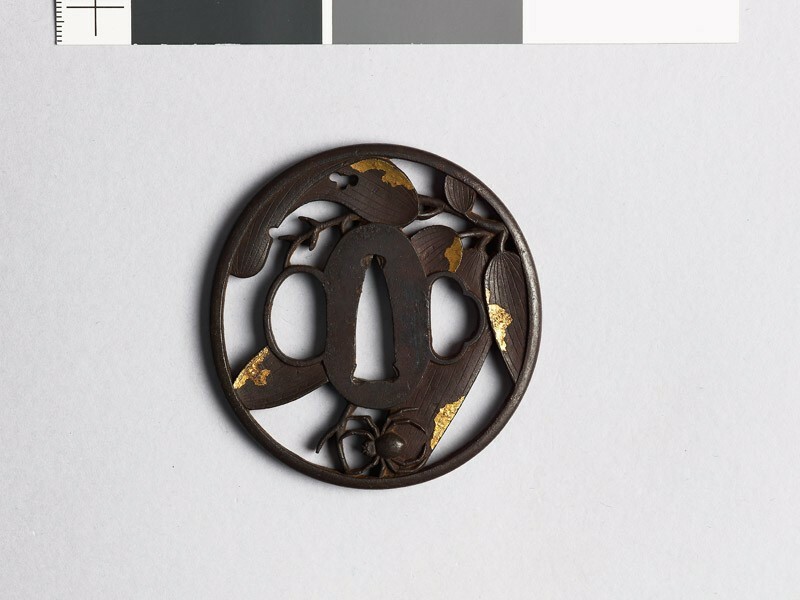 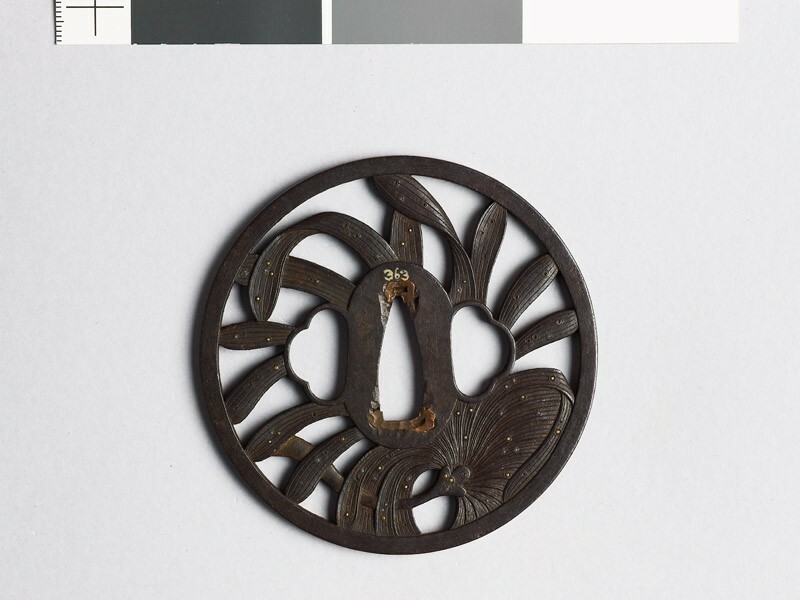 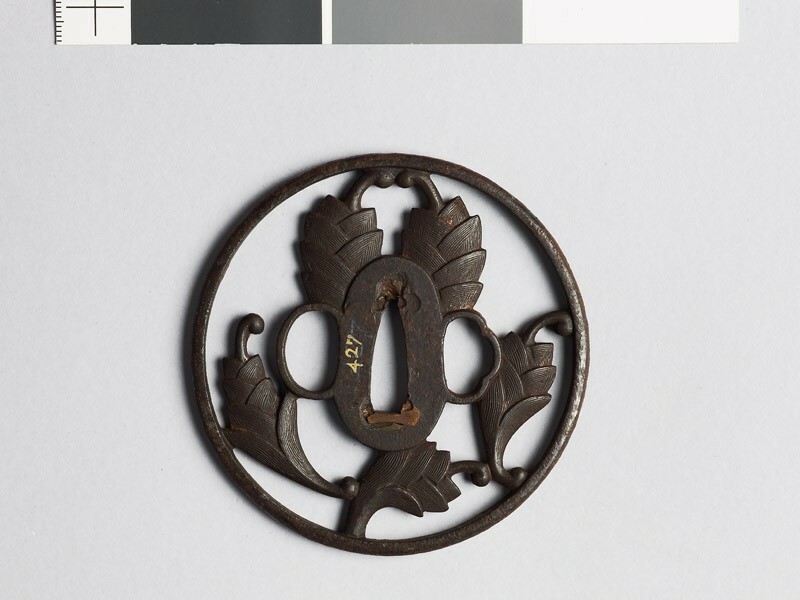 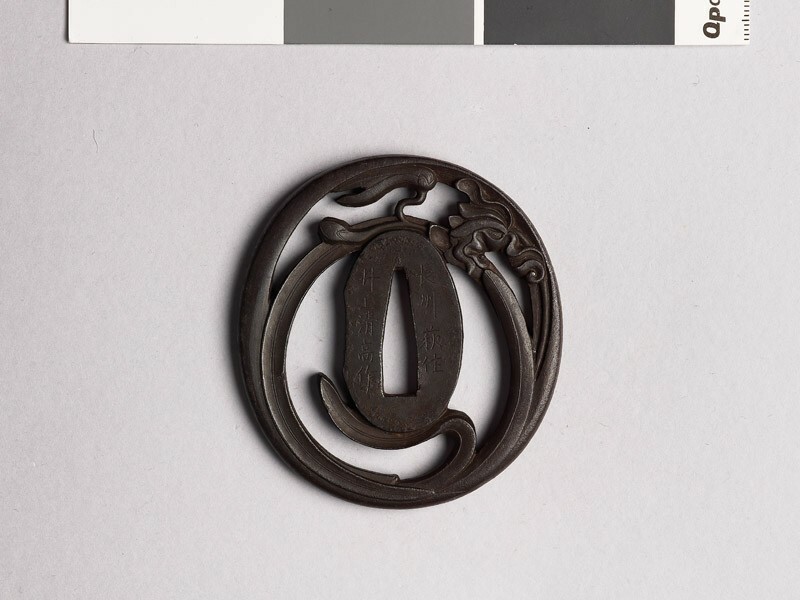 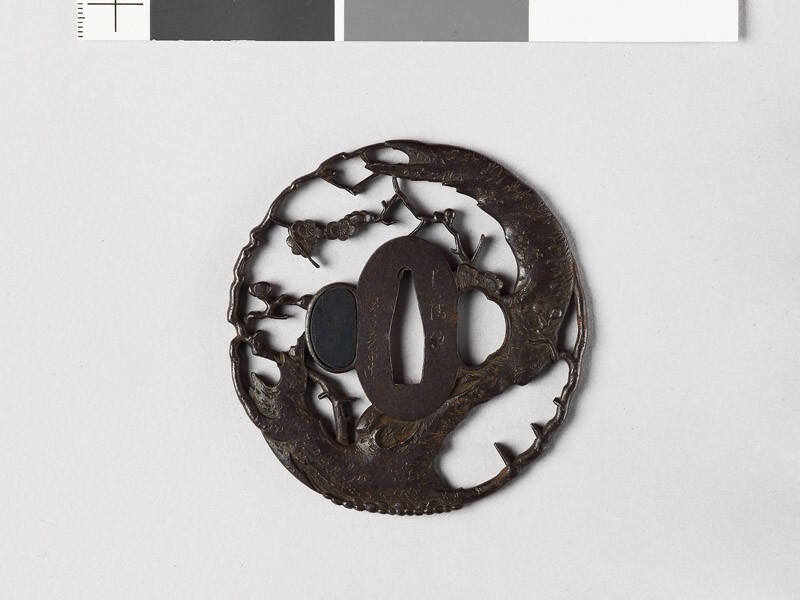 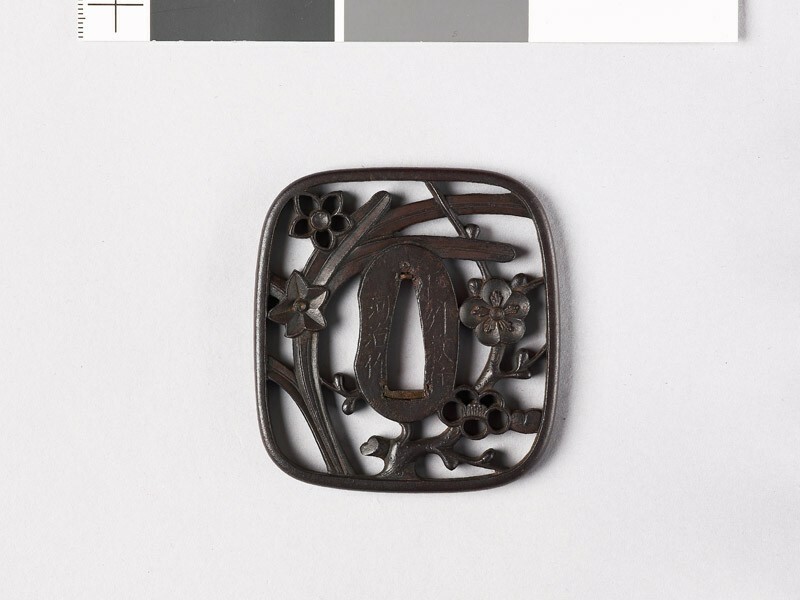 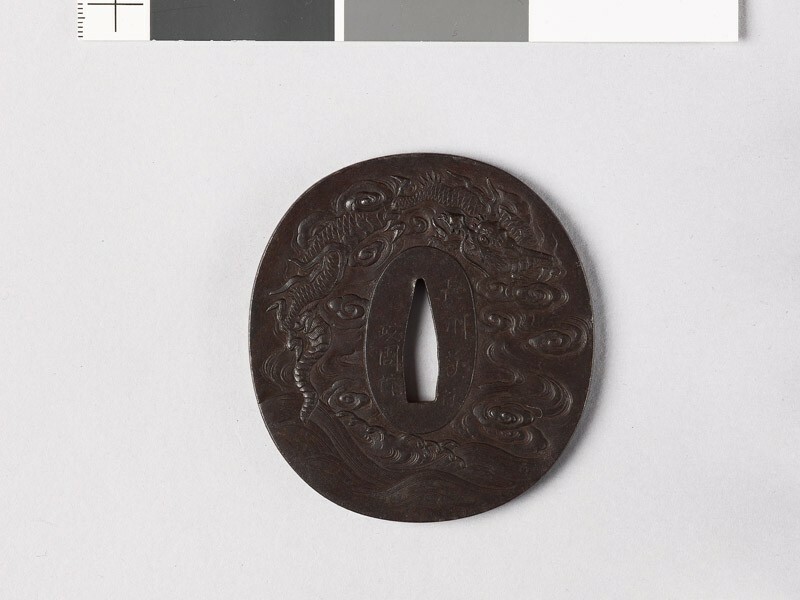 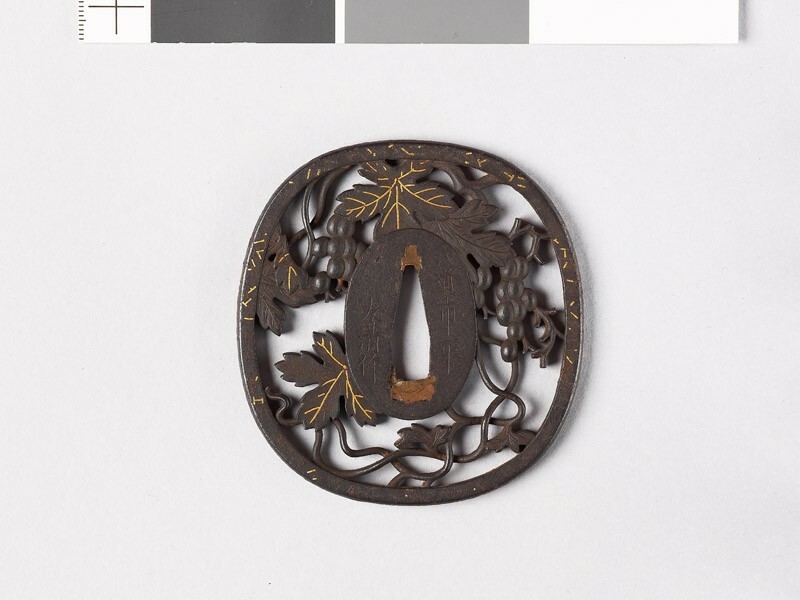 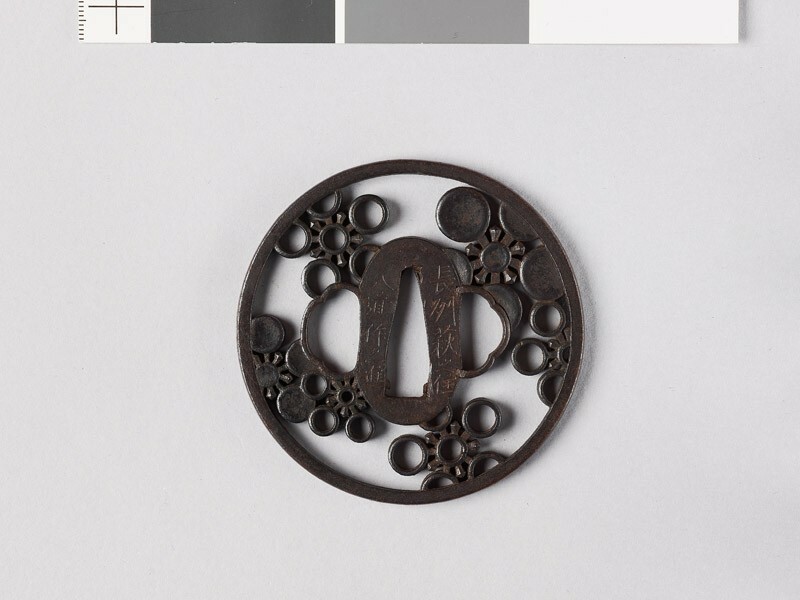 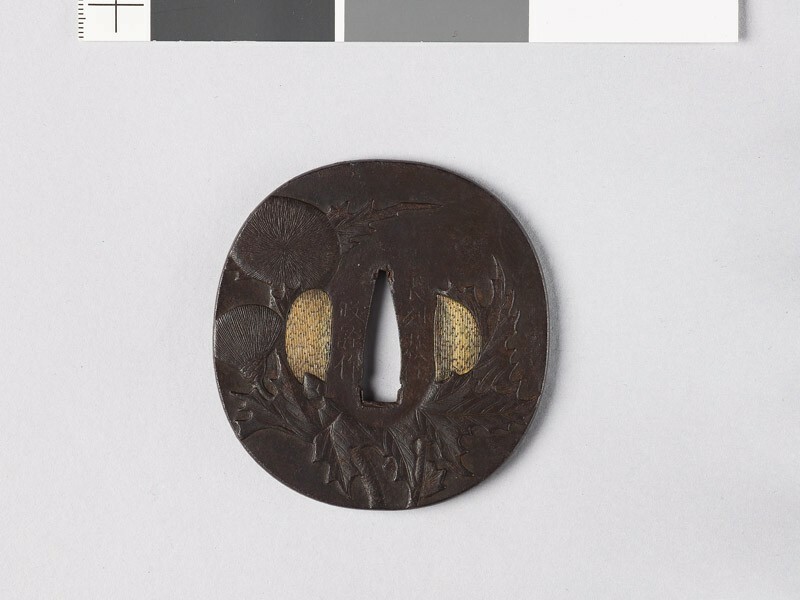 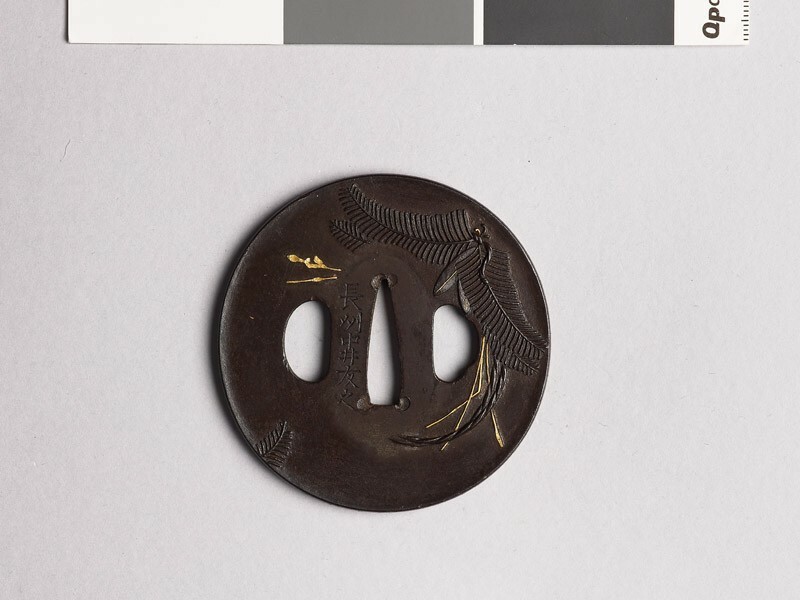 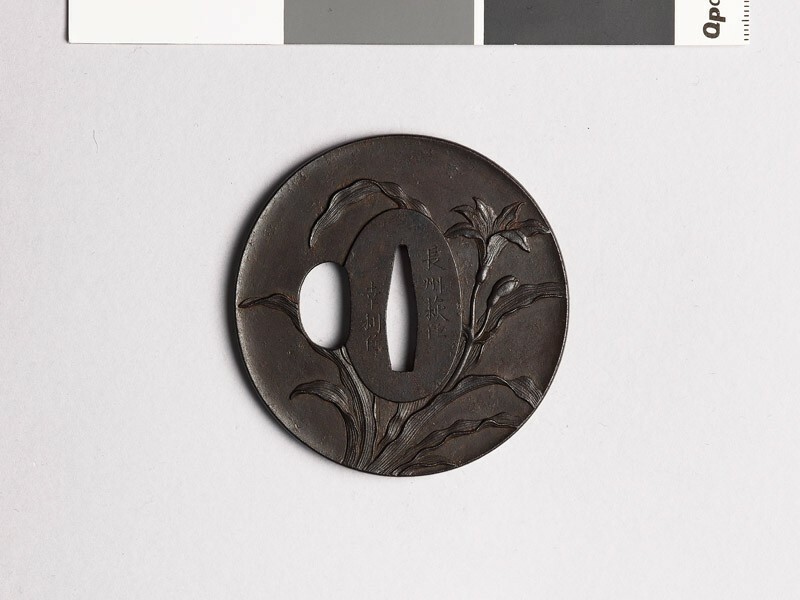 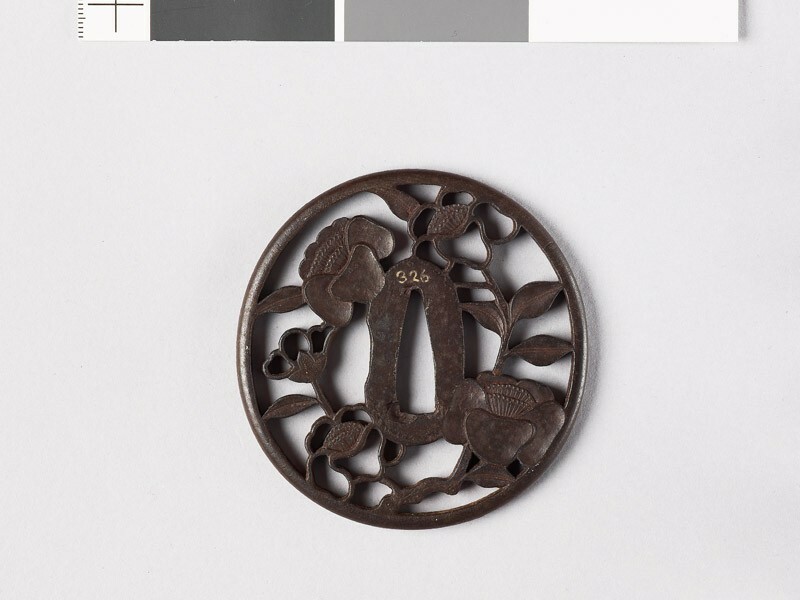 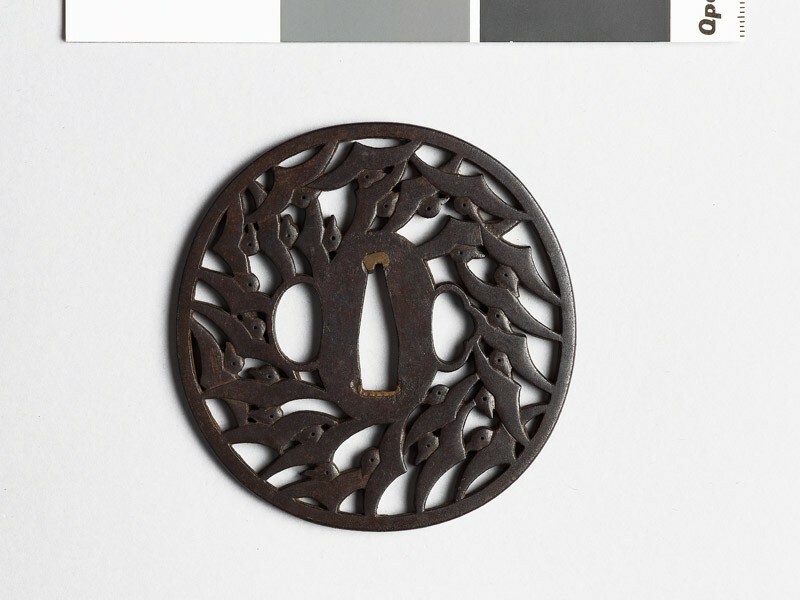 The early work was influenced by Umetada Miōju (Group XI), who spent some time at the Suō capital, Yamaguchi, as well as by members of the Shōami group (XII); thus, examples by the Nakai often show incrustation of the softer metals on the iron ground. 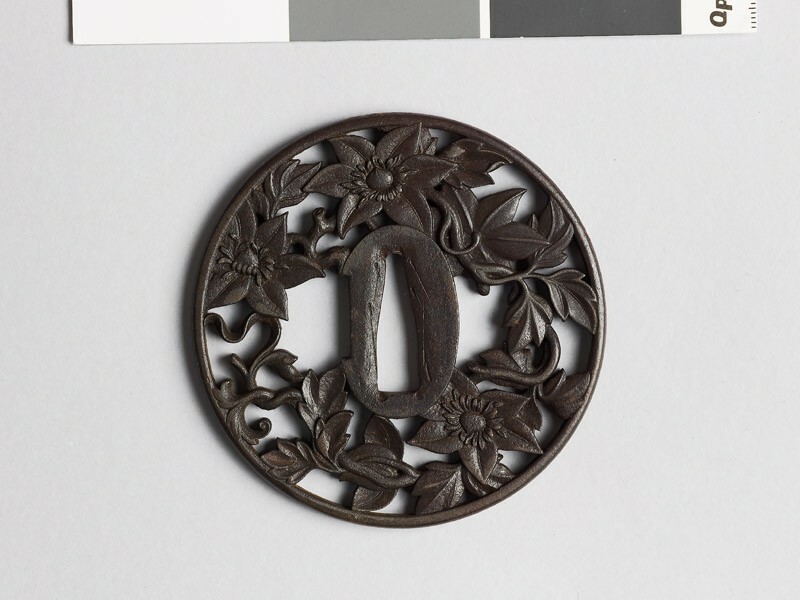 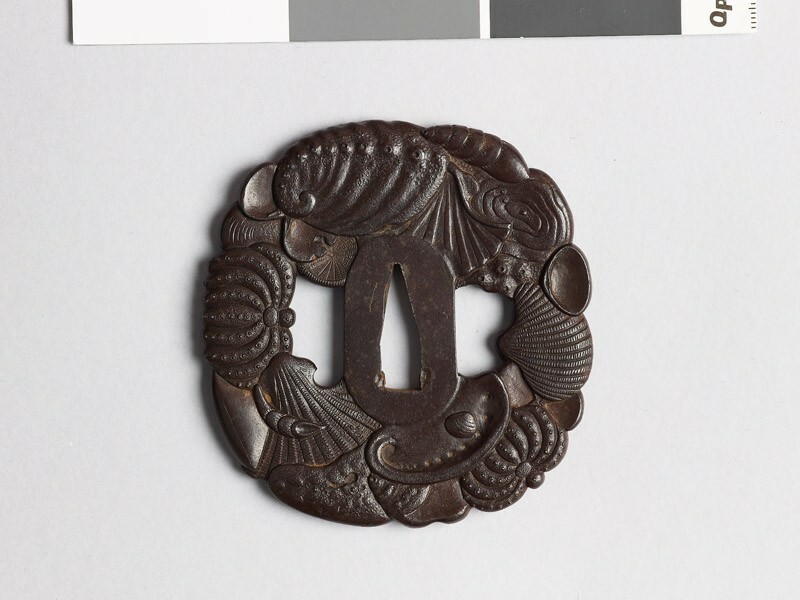 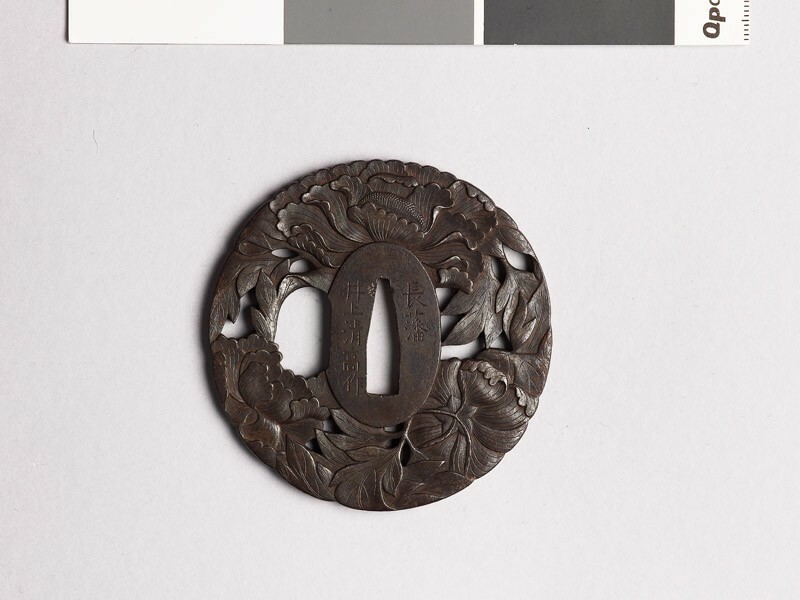 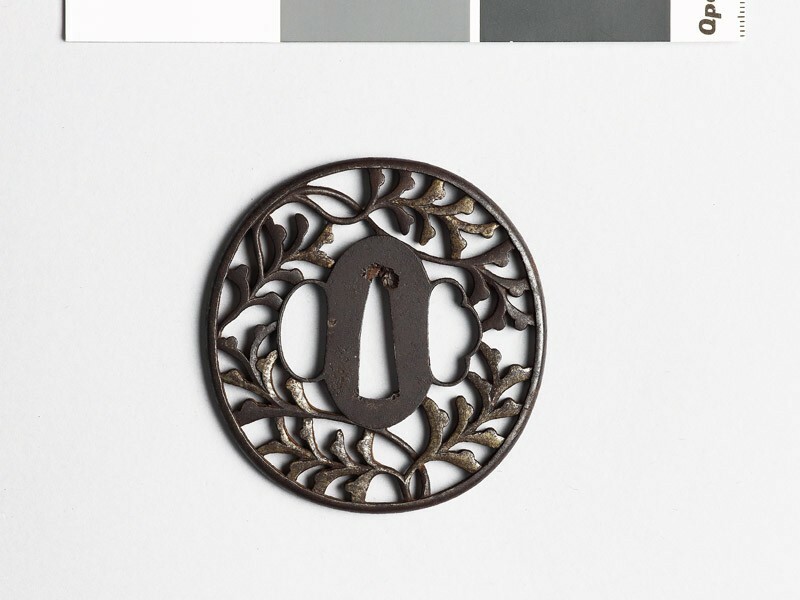 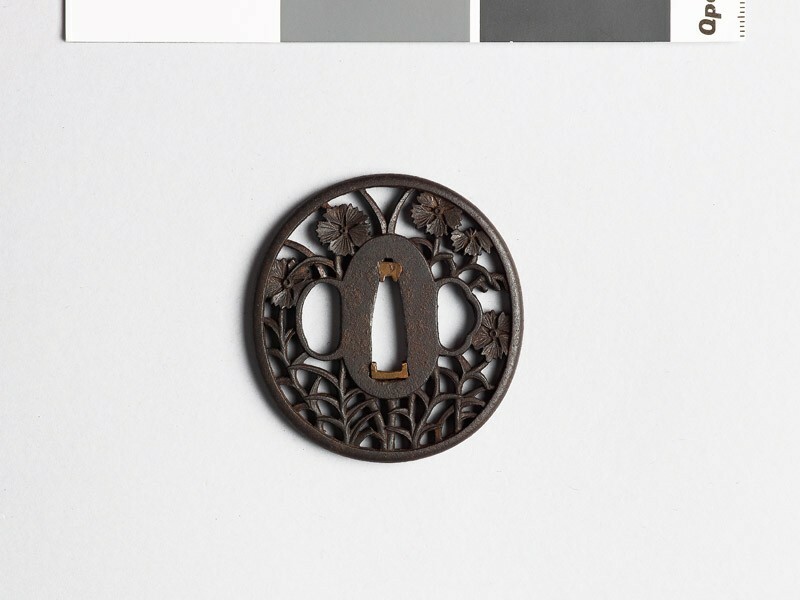 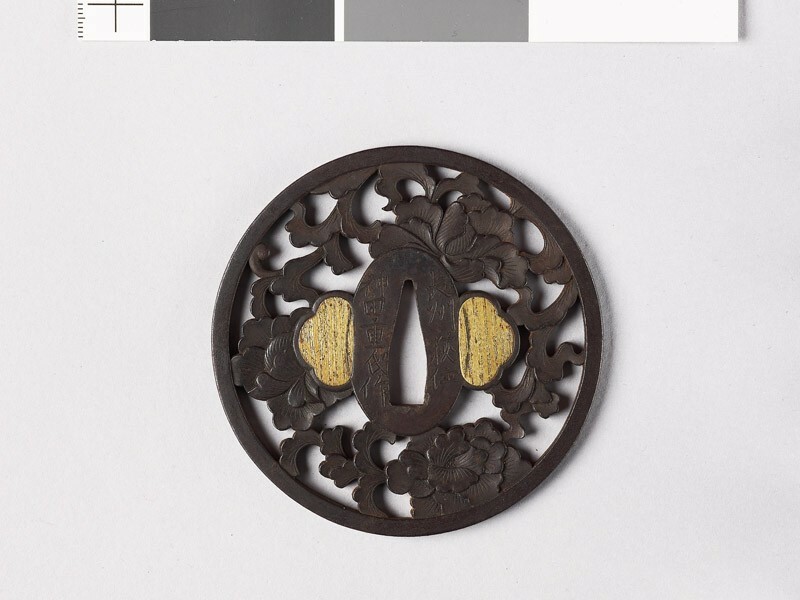 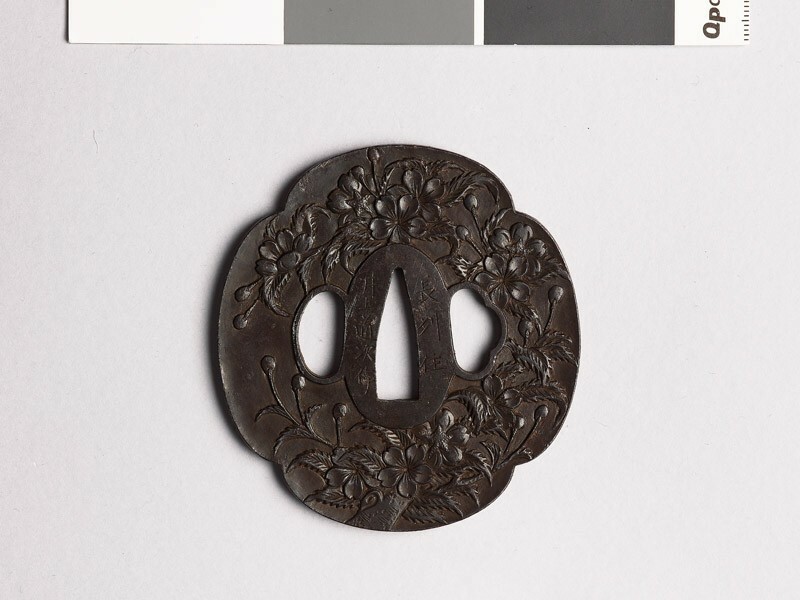 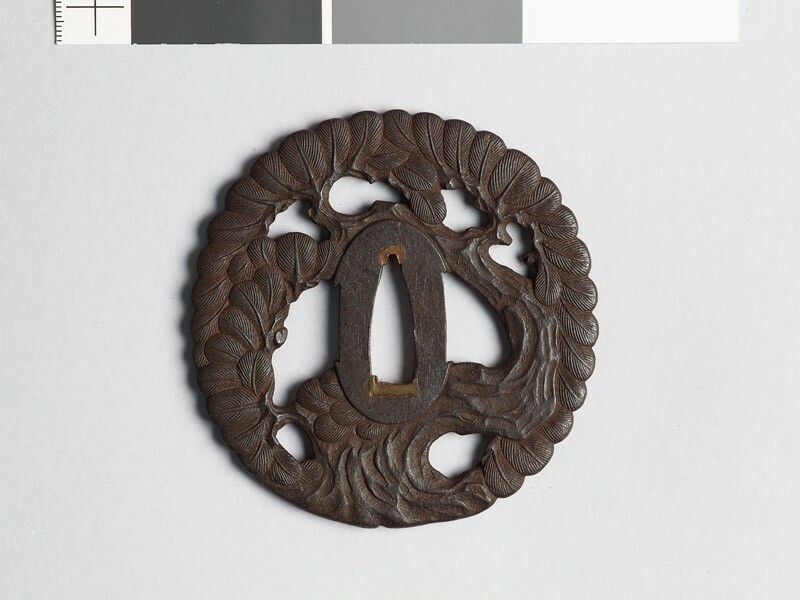 Chōshū guards are usually in iron of a rich black patina, with sharp, powerful and carefully modelled relief, either solid or perforated. There may be a sparing enrichment of gold, but this is unusual. The Nakai [Japanese text] school [see EAX.10401] was founded at Hagi by Nakai Nobutsune (about 1620), whose predecessors had worked at Yamaguchi. N.B. – All guards in this group, unless the contrary is stated, are in modelled openwork within narrow border. In transcribing the signatures, the frequently recurring phrase Chōshū Hagi no jū (“resident of Hagi in the province of Nagato”) is here contracted to CHNJ. 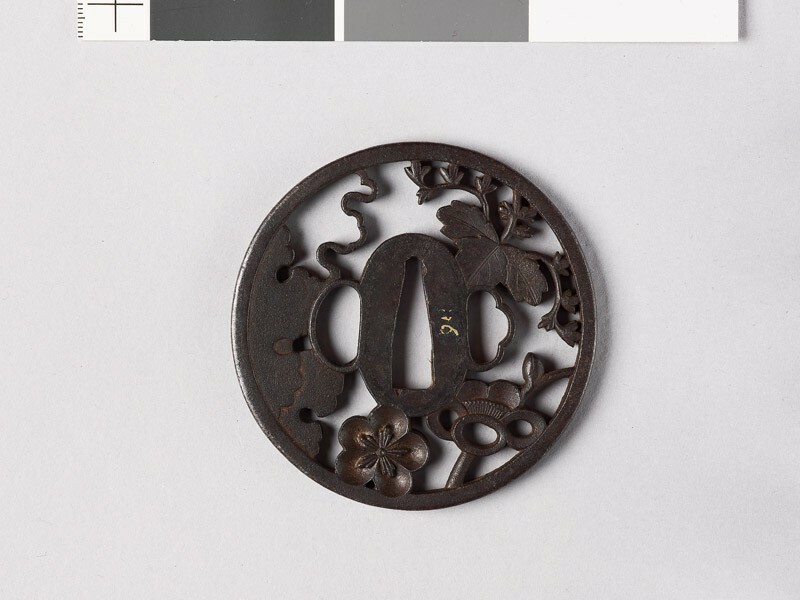 In some cases the province-name is given in other forms, here transcribed in full. 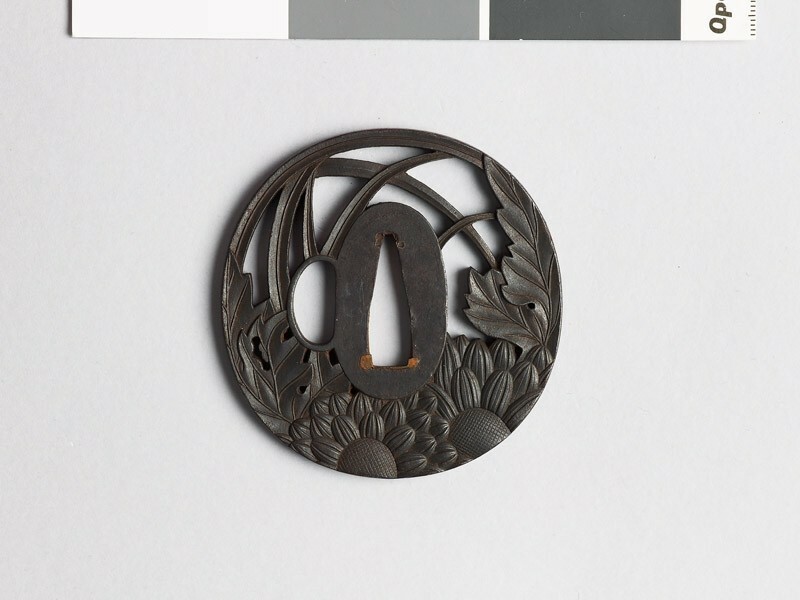 The Kaneko [Japanese text] School was founded by Kaneko Yukishige about 1630. The Nakahara [Japanese text] School was founded by Nakahara Yukinao (about 1715), a pupil of Kaneko Yukinaka I. The Inouye [Japanese] School was founded by Inouye Kiyotaka (end of 18th century), a samurai in the service of the Chōshū daimio. 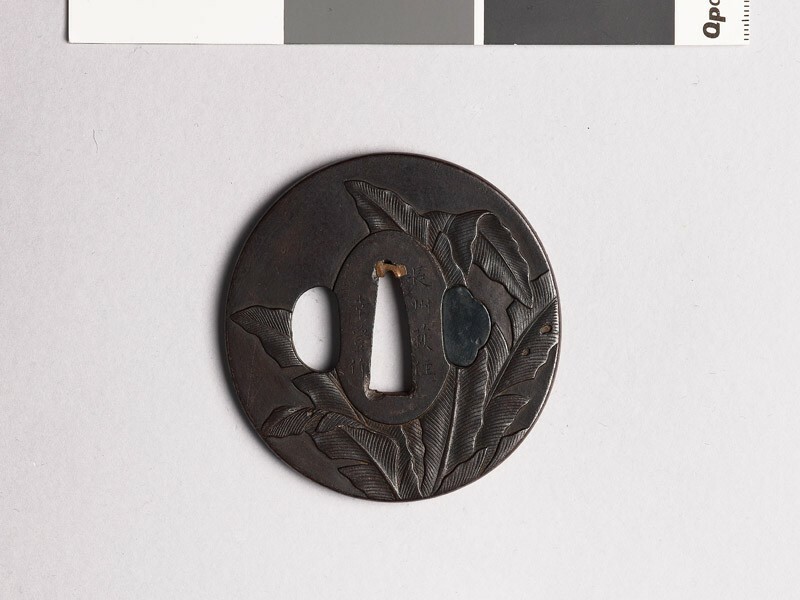 The relationship of the Hachidō [Japanese text], or Yamichi, as they used wrongly to be called, is uncertain. The same may be said for the Kawaj [Japanese text]. 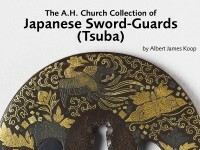 Their designs are among the most easily distinguishable of all Chōshū guards. The Okada [Japanese text] School was founded by Umetada Masatomo (about 1650), a pupil of Umetada Miōju. The Okamoto [Japanese text] School was founded by Okamoto Tomoharu about 1600.